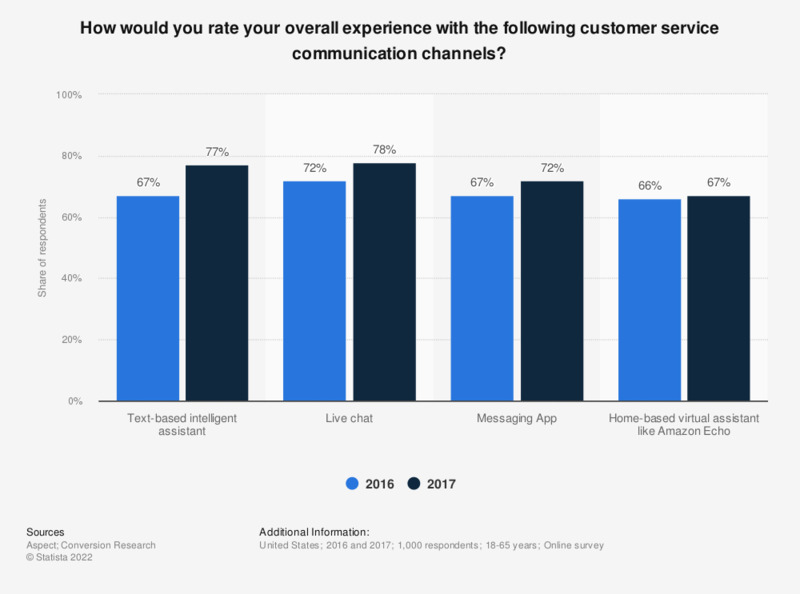 This statistic shows the share of customers in the United States who found their customer service experience good in 2016 and 2017, by communication channel. During the survey in 2017, 77 percent of the respondents stated that they had a good experience with text-based intelligent assistants. This question was phrased by the source as follows: "How would you overall rate your overall experience with…".